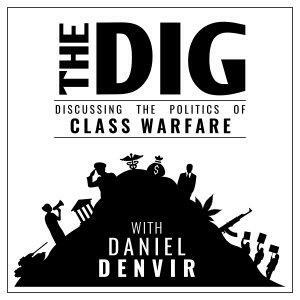 Historian and political theorist Timothy Mitchell joins Dan for the second of a two-part interview on his book Carbon Democracy: Political Power in the Age of Oil, published in 2011 by Verso. In part 1, we talked about a lot of things, including how the rise of coal made both industrial capitalism and newly powerful worker resistance possible; and how the shift to oil then facilitated the persistence of imperialism in a decolonizing world while thwarting worker organizing. In this installment, we discuss imperialist assaults on worker struggles in Iraq and Iran, the cooptation of those struggles by nationalist elites, and how those imperialist attacks facilitated the rise of the Baathist security state. Thanks to Verso Books. Check out Duty Free Art: Art in the Age of Planetary Civil War by Hito Steyerl versobooks.com/books/2553-duty-free-art and and Police: A Field Guide by David Correia and Tyler Wall versobooks.com/books/2530-police And support this podcast with $ at patreon.com/TheDig, where you can also check out the first edition of our new weekly newsletter.